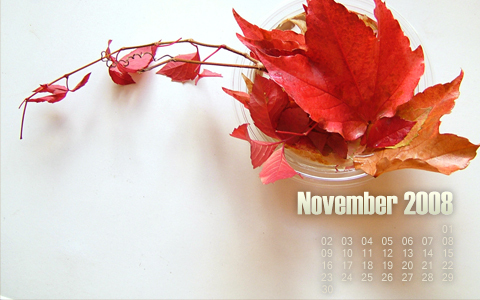 Check out the lastest in calendar wallpapers from Digital Revolutions. Specifically designed for November 2008, this hi-resolution, widescreen wallpaper is sure to make your desktop a bit more festive. Download today for free and enjoy! Very cool wallpaper, thank you. Millie: No problem, glad you like it.